The Fridgebot Foundation, Inc. would like to introduce you to FIRST (For the Inspiration and Recognition of Science and Technology) Robotics, "the varsity sport for the mind." FIRST combines the excitement of a sport with the rigors of science and technology. Under strict rules and a 6 week time limit, teams of high school aged students are challenged to design, build and program a robot to perform prescribed tasks against a field of multinational competitors. In addition, the team must write a business plan, build and maintain a website, develop teamwork skills, scribe legacy documentation, create computer animation designs, and secure funding through sponsorship. Our fundamental mission is to inspire students to be interested in STEM (Science, Technology, Engineering, and Math). But our mission goes beyond building a robot, by promoting innovation, leadership, mentorship, and community service. 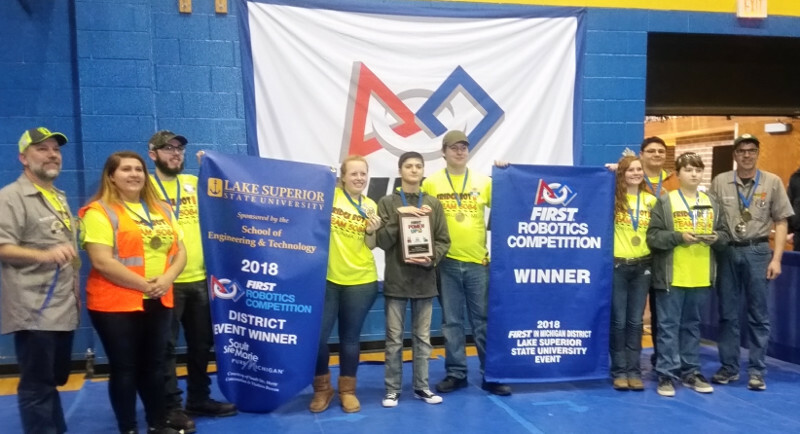 FIRST Robotics works closely with research and academic organizations to provide tangible evidence of its impact on a student&apos;s education and career choices. It&apos;s an amazing organization that fosters teamwork, self-confidence, and critical thinking while developing valuable partnerships and life skills. Additionally, it prepares high school students to continue their education in the STEM field and become valued employees of the future, for companies like yours. As the importance of FIRST grows, there is an increased demand for qualified engineers to lead Michigan, the country and the world into new technologies and innovations. The Robotics program is mutually beneficial to the students and the companies that provide support. By sponsoring a FIRST team, companies play a large role in increasing the number of students pursuing careers in STEM by exposing them to the excitement of real world engineering. Every contribution received means that more students can benefit from the amazing and unique opportunities that FIRST provides. Providing students with opportunities that foster their imagination and enhance their knowledge of STEM guarantees their personal success and the future possibilities are endless. Our organization gives sponsors an opportunity to increase their visibility locally and nationally, and give back to the community that has contributed to its success. Fridge Bots has created several contribution categories in which sponsors may participate. Each requires a specific donation amount and places that sponsor&apos;s name in specific locations on our robot, website, t-shirts, and banners. See our Sponsorship Page for details.